Happy Star Wars Day! Are you guys ready for it? If not, I have a super easy and fun project that you can make in less than 5 minutes. No joke. 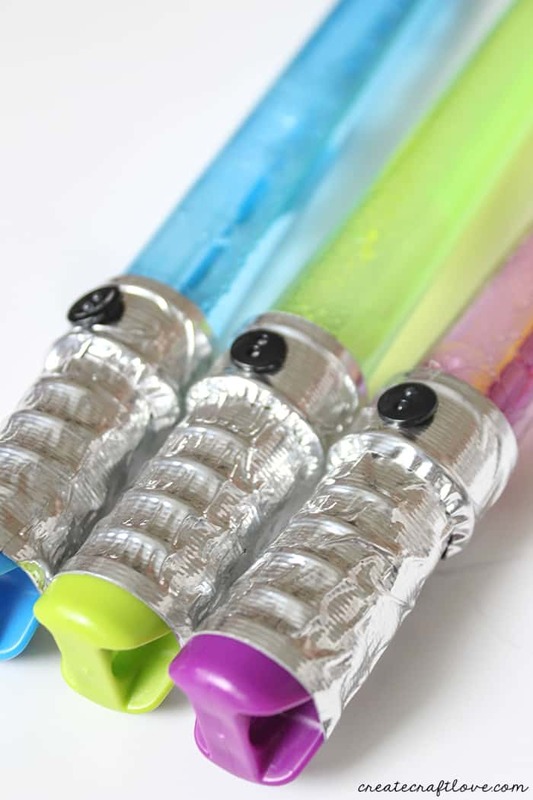 These Bubble Wand Lightsabers will blow your kids’ minds! My husband’s jaw dropped because of this awesomeness. 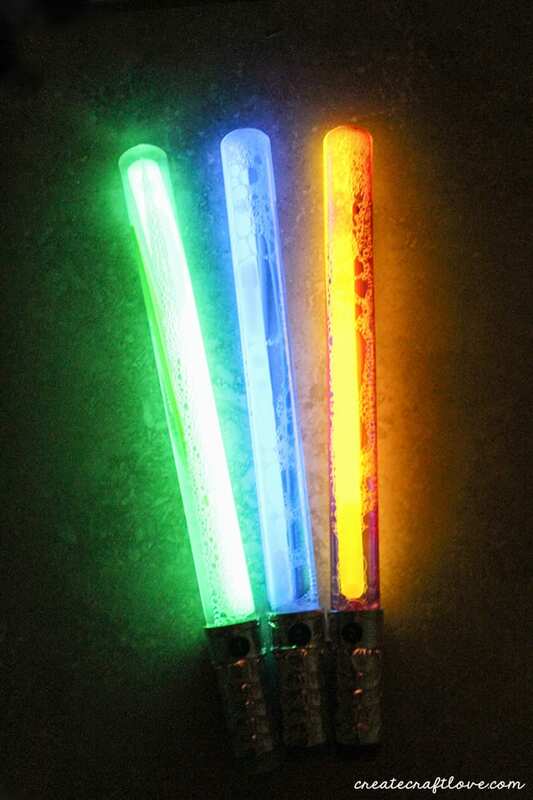 Not only do they look cool, but the glow stick inside the bubbles MAKES them cool. 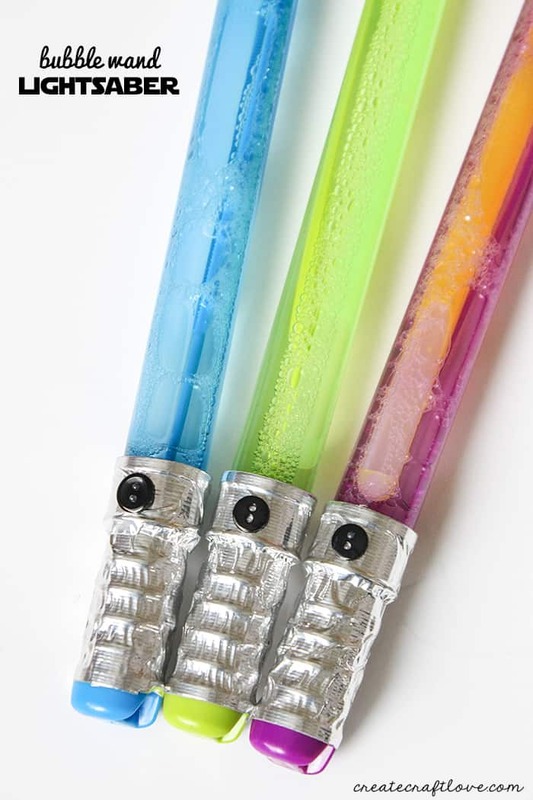 They look like honest to goodness lightsabers! 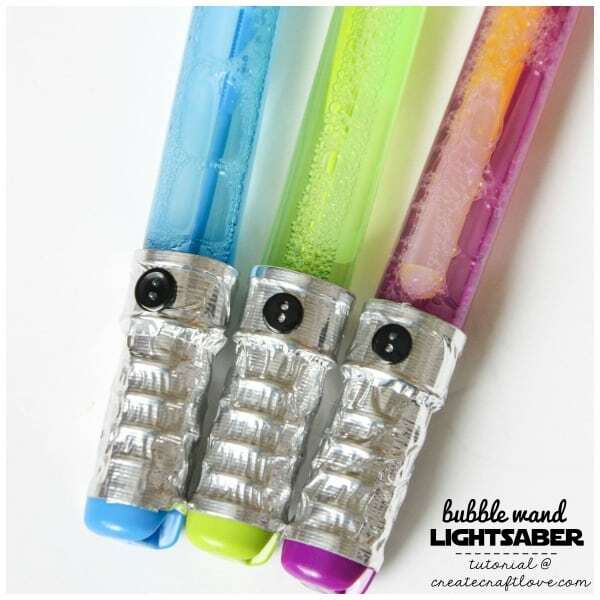 I think these lightsaber bubble wands are these easiest kids crafts I’ve ever put together. 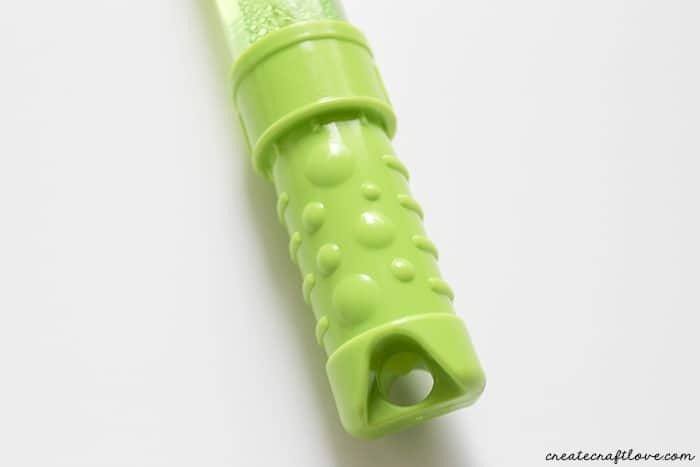 Depending on where you buy the bubbles, the handle may look slightly different. These particular bubble wands were purchased at Michaels. 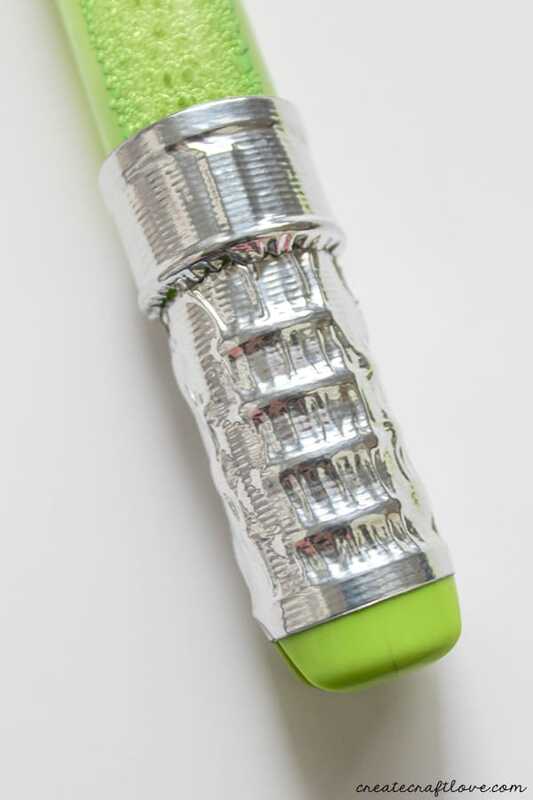 Wrap the silver duct tape around the largest part of the handle. Cut another piece of tape about 5 inches in length. Cut that piece in half length wise. Wrap around the top of the handle. Next, turn on your hot glue gun. 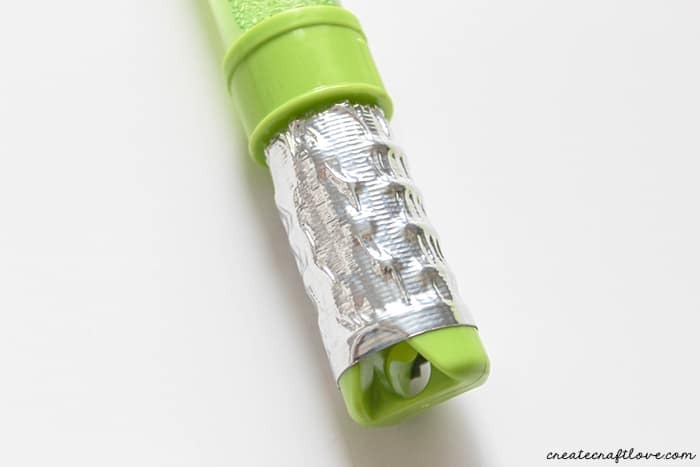 Add a single black button to the top part of the handle (where you just taped) using hot glue. Now comes the fun part. Carefully pour out about 1/3 of the bubble solution in the wand. Break your glow stick to activate the glow. 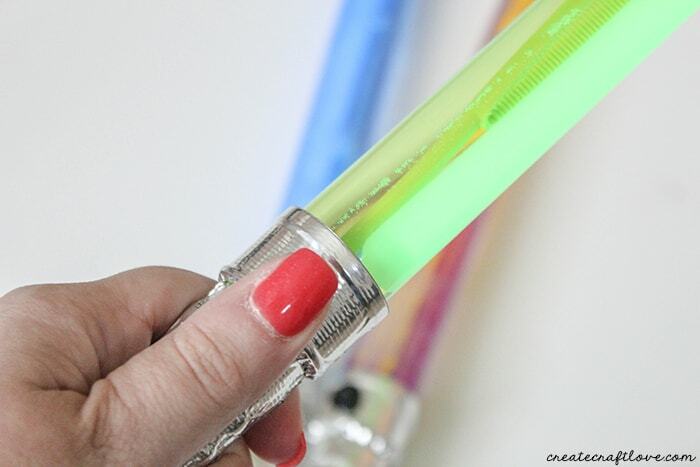 Place the glow stick inside the bubble wand. How stinkin’ cool is that?! 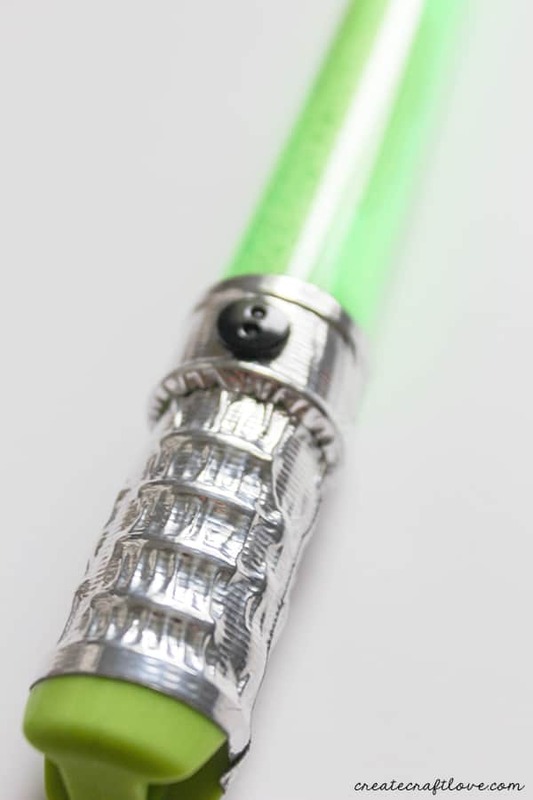 If you’re wondering why the purple lightsaber? Well apparently Mace Windu’s lightsaber was purple. Who knew? I’m not sure who was more excited, my husband or my son! I just love how they turned out! And don’t they look cool in the dark? These would be so much fun for after dark this summer! Are you ready to head out and buy the supplies? May the 4th be with you! Check out more fun Star Wars ideas! 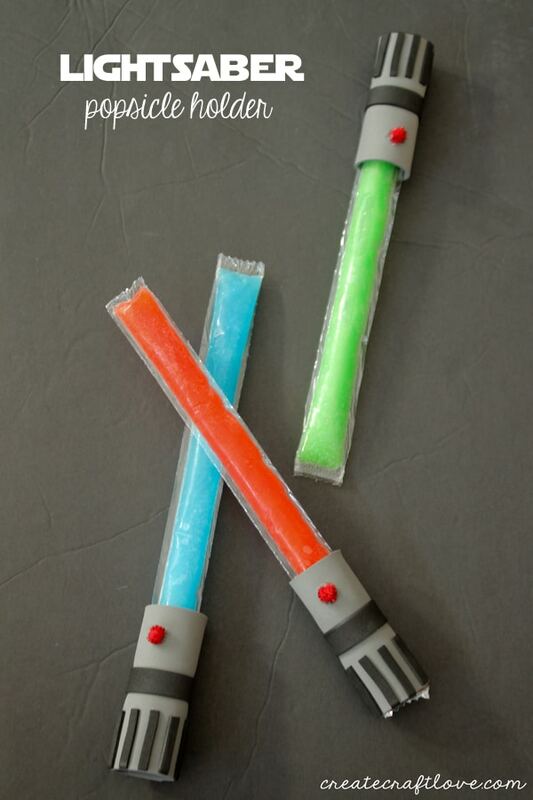 These Lightsaber Popsicle Holders are perfect for summer too!